We are in middle of May, and market participants are starting to think of the holidays ahead. The Straits Times Index (STI) closed Monday’s trading (May 14, 2018) at 3,582.46, down by 7.71 points, or 0.22 per cent. There were 1.5 billion shares worth S$1 billion being traded but is far below the 1.86 billion shares worth S$1.43 billion traded last Friday. As mentioned in my previous posts on the 3,600-resistance level that the market watchers are anticipating, it remains quite elusive given the various attempts at trying to break through the level after hitting the 3,641.65 level on May 02. So far, based on the Fibonacci Retracement analysis, the index is hovering around the 78.6 percentile level at 3,547.87. In an April 2018 market update report by Phillip Securities Research, it was noted that the best performers have been in the finance, consumer, and Reits, whereas the laggards were industrial, electronics, shipping and conglomerates. The report also noted that there has been a sell down of electronic stocks during the month of April with Venture recorded the biggest drop of close to 20 over percent. They were quite positive about oil and gas and urged investors to keep monitoring this space, especially the upstream counters that are still hesitant to spend. One of the factors that got investors jittery was the upward jolts in interest rates stemming from higher inflation expectations, and the fears over a rapid hike in the interest rates over the next few months of 2018 and whole of 2019. 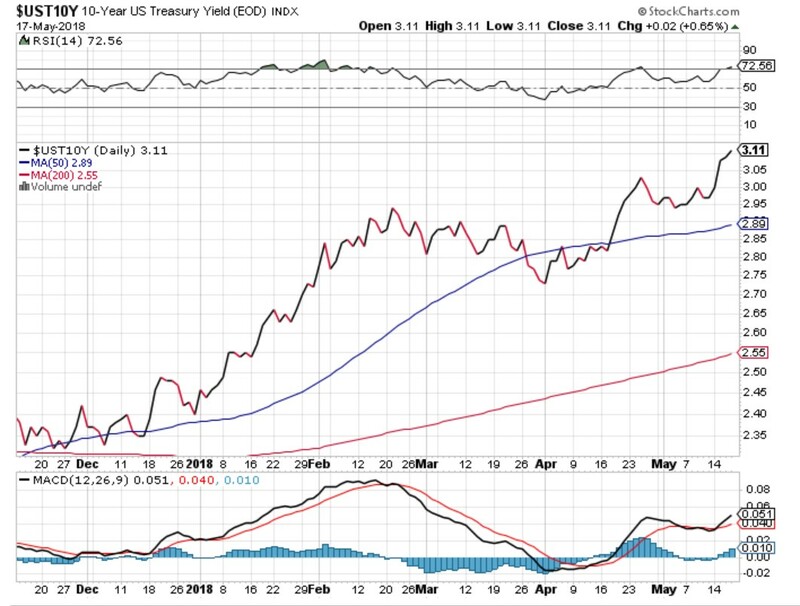 This week, we saw the US 10-year treasury yields reaching above the 3 per cent psychological mark, thus causing global market prices to fall. The 10-year US Treasury Yield rates look like it is about to ‘hit the roof’ with the 14-day relative strength indicator (RSI) remaining elevated and slightly above the ‘Overbought’ region. Some investors might think that hitting above the 3 per cent mark for US Treasury yields is expected to be a ‘doom and gloom’ story. However, depending on each investor viewed it, either a glass half filled, or half empty. We do not think it is a straight road to a worst outcome yet. 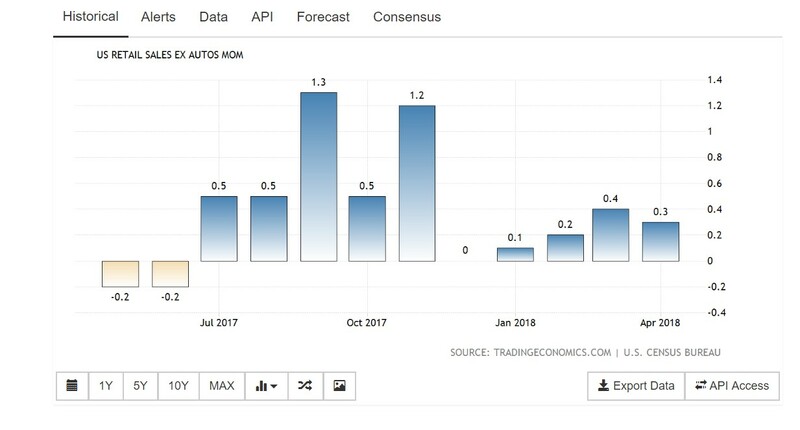 If we were to take a look at the US unemployment data which is staying steady at 3.9 per cent, while retail sales excluding automobiles data is still showing positive readings since January 2018. We noted that consumer spending occupies almost two-thirds of US GDP growth, and the sustainability of US consumption expenditures is closely monitored. Also, we noted that the US GDP annual growth rate is still on a upward trajectory, and this being one of the key barometers for economic growth in the US, the improvement, along with the rise in the 10-year yields should not necessarily be viewed as Armageddon. Similarly, US retailer earnings have not met with much big hit yet resulting from the latest rise in yields as the following data on SPDR S&P Retail ETF indicated a continuing uptrend since early May. 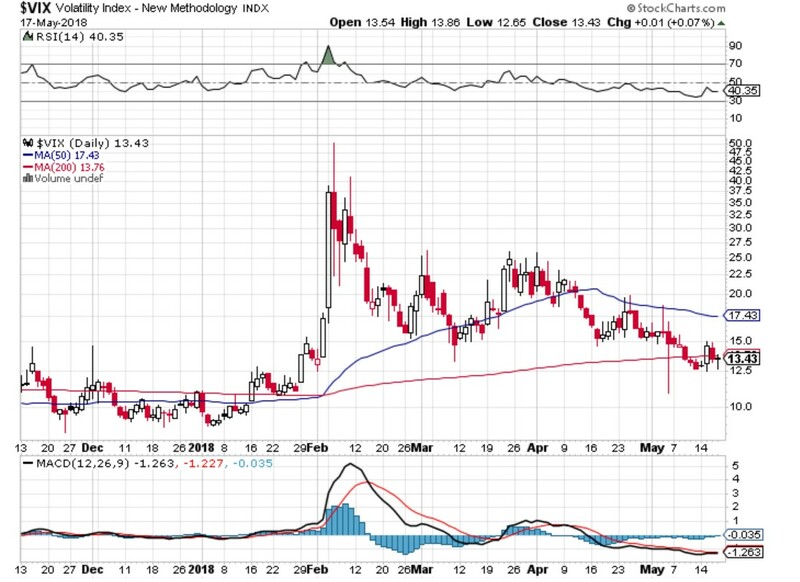 A further illustration to highlight why the rise in the US 10-year Treasury yield rates has not impacted greatly on the equity markets is the CBOE Volatility Index (VIX) which shows a declining trend since the huge spikes seen in February when the VIX hit a high of 50 at one point. 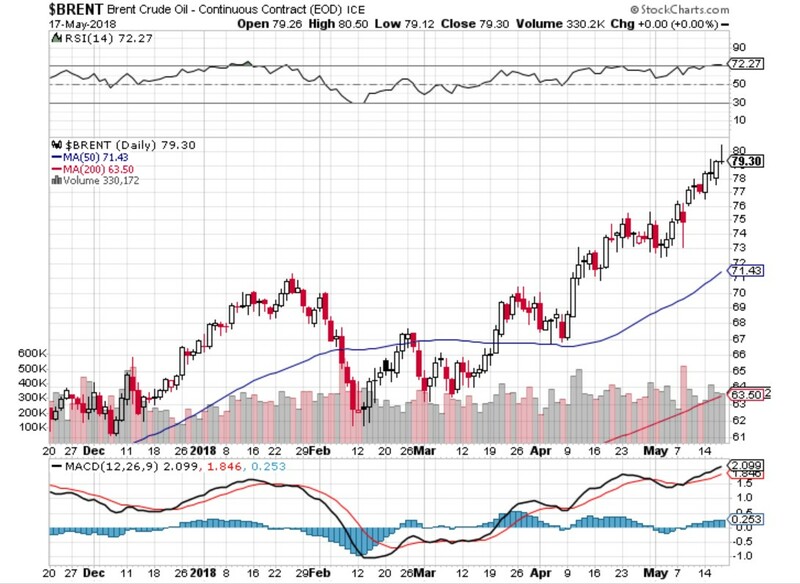 Crude oil prices have been on the rise with production quotas by Organisation for Petroleum Exporting Countries (OPEC) still in place, the US government reinstating sanctions on Iran, and tensions in the Middle-East region, among others. This latest increase in crude oil prices has ruffled the feathers of the US government with President Trump tweeting his complaints about OPEC’s continued quotas. In an April 20 tweet, President Trump was quoted saying that “Oil prices are artificially Very High! No good and will not be accepted,” Although oil prices did react a bit by trading downwards, it did resume its hike following that remark. The rise in oil prices have raised some questions about industries that are heavily dependent on crude oil supplies. For example, a local counter, Singapore Airlines (SIA) recently reported their financial results. The airline group reported a full year 2018 net profit ending March 31, 2018 of S$893 million. The bottom line figure beat the street estimate of S$711 million. The fourth quarter bottom line scored a positive profit of S$181.8 million, and it beat the street estimates of zero profits. During the financial year, SIA recognised S$84 million in fuel hedging gains. However, for FY 2019 (current financial year ending March 31, 2019), SIA has not disclosed its fuel hedging strategy. In an online The Edge Magazine news article dated February 09, 2017, it was reported that SIA has hedged 37.4 per cent of its jet fuel requirements for fourth quarter in Singapore Jet Kerosene (MOPS) at a weighted average of US$67 per barrel. The group has also extended into longer-dated Brent hedges with maturity extending to 2022, covering 33 – 39 per cent of its projected annual fuel consumption, at average prices ranging from US$53 to US$59 per barrel. It was in a research report by UOB Kay Hian during last year’s full year earnings report (FY 2017), the analysts noted that the longer Brent hedges “at relatively attractive levels with low premium to spot”, which could give the carrier a competitive edge in the case of fuel prices rising substantially. SIA closed Friday’s trading session at S$11.56, up 42 cents or 3.77 percent. The total number of shares traded amounted to 3.75 million. 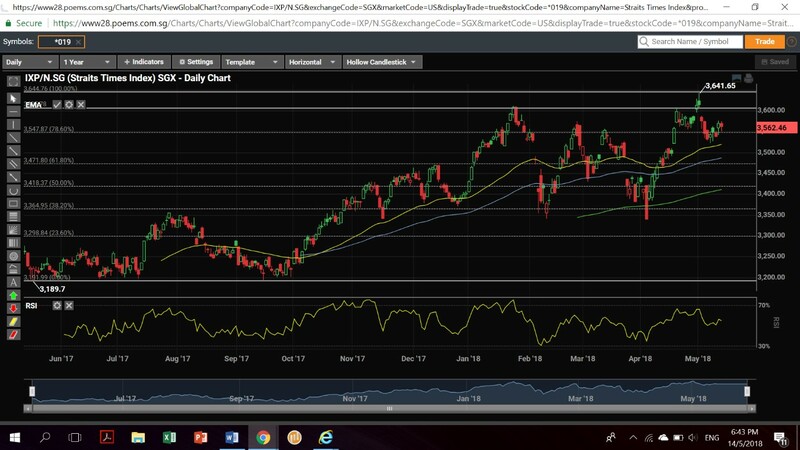 Looking at the one-year daily chart of Singapore Airlines (SIA), we noted that the carrier’s stock scored a temporary upsurge in its stock price today. 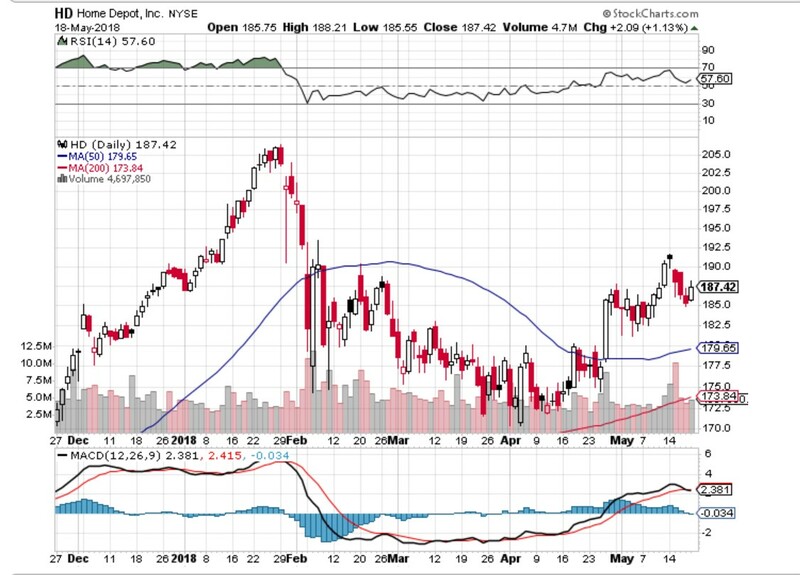 However, we noted that from a technical analysis (TA) angle, this could be temporary as there could be some investors wanting to so-called ‘gate crash’ on the set of good earnings results, and possibly reduce their stakes if the stock’s fundamentals do not offer much compelling value. 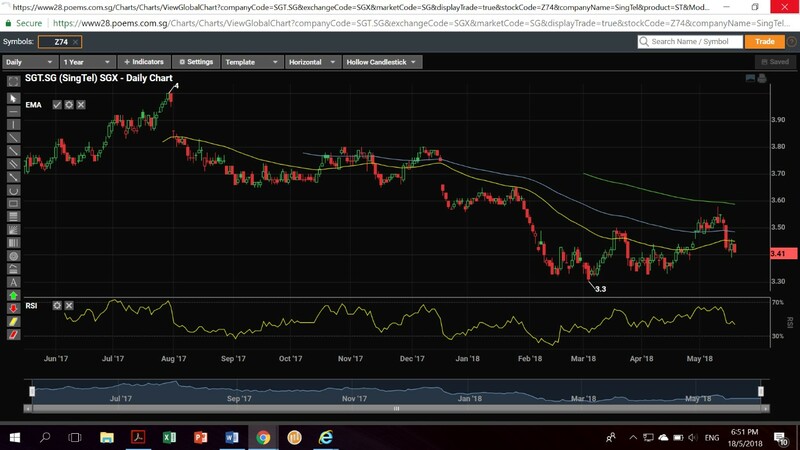 At the last done price of S$11.56, and based on the SGX Stockfacts data, the stock is trading at 23.305 times trailing twelve months (TTM) earnings. This could be high in historical terms where it used to trade close to book value of S$10 over. Although they have positive operating cash flows, the current ratio is still less than 1.0 times, while net profits do not show a consistent set of at least five years consecutive earnings growth. The Straits Times Index (STI) closed Friday’s session (May 18) at 3,529.27, down 7.49 points, or 0.21 per cent. This takes the year-to-date performance to 3.71 per cent which has been falling from 5 per cent early in the month. There were a total of 1.57 billion shares worth S$1.07 billion traded as compared to Thursday’s trading volume of 1.48 billion worth S$1.02 billion. Looking at the one-year STI chart, we noted has now tracked below the 78.6 percentile line on the Fibonacci Retracement chart shown above. There does not seem to a convincing factor that might lift the index higher in the short-run. The 14-day RSI is mostly subdued at 48 which might suggest a lack of momentum. Some of the notable STI component counters like SIA and Singtel traded in opposite directions with the former trading upwards as a result of its long awaited positive profit recovery, while Singtel’s stock price was off by 3 cents, or 0.87 per cent at S$3.41 per share. 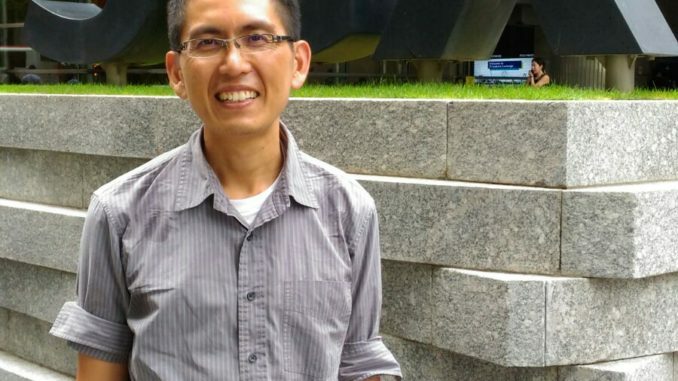 Most analysts are still maintaining their buy ratings even though its latest financial performance was not something to crow about as fourth quarter 2018 underlying earnings of S$807 million was largely in line with Street estimates. The counter was largely weighed down by two factors, namely post-tax associate contribution dropping 23 per cent year-on-year (yoy) to S$401 million mainly due to declining contribution from its Indonesian affiliate, Telkomsel and Bharti’s declining contribution. DBS Vickers also noted that the second factor that caused a less than enthusiastic set of earnings was the absence of A$70 million of National Broadband Network (NBN) migration fee in the final quarter of 2018 (March 31, 2018) which was temporarily halted in November 2017. However, what kept investors satisfied is Singtel’s commitment to fixed dividends over the next two years. The carrier expects to maintain its ordinary dividends of 17.5 Singapore cents per share over the next two years and will revert to the payout of between 60 per cent to 75 per cent of underlying net profit thereafter. 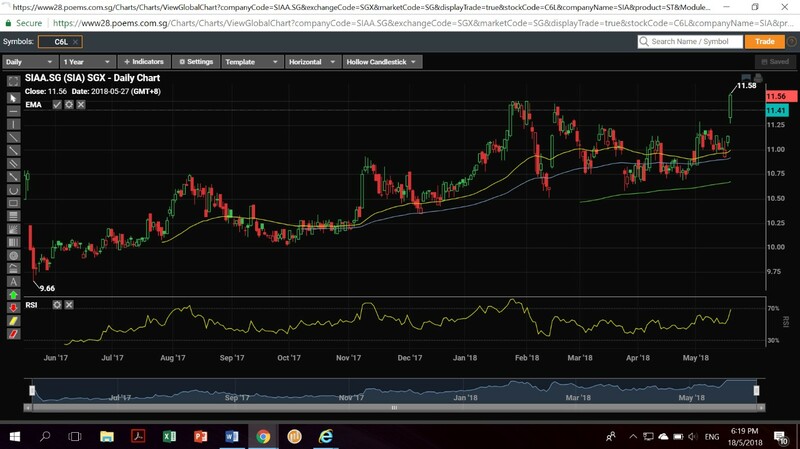 We noted that trading Singtel’s shares for the past year has been largely underwhelming based on the chart trends shown above. However, with reasonably good fundamentals, including a relatively good dividend yield of 5 per cent, this counter provides a defensive role and a good source of consistent dividend income for investors looking for value-oriented stocks. The trade deficits between the United States and China has always been a hot agenda even during the US Presidential campaigns when the then candidate, Donald Trump has vowed to deal with China in a tough manner to ensure that American interests are not compromised. The US has implemented the harshest of all trade actions against China known as the ‘Section 301’ which essentially called for the strongest actions against any country that is found to cause harm to American economic interests. The action is now being put for public comment for 60 days since last month. In the latest set of compromises, the President has allowed Chinese telecommunications equipment maker, ZTE Corp to resume business activities after being sanctioned for seven years in April due to its trade relationships with sanction countries including North Korea and Iran. In return, China has lifted its review on US sorghum imports. 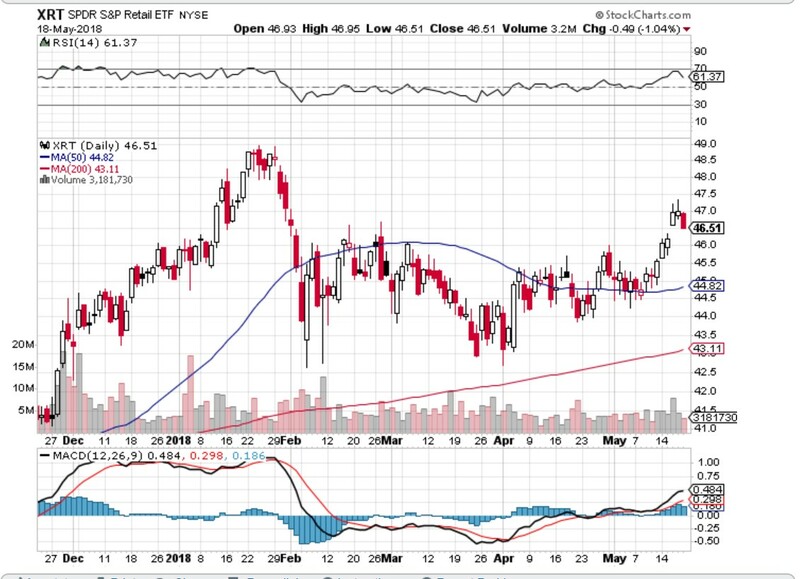 During the week, major retailers by home improvement store chain, Home Depot (HD), and department store operator, Macys (M) reported disparaging profits with the former disappointed the Street with an earnings miss, while Macy’s was able to buck the trend. With the arrival of Spring, and approaching the summer soon, retailers will be busy to deck out their wares for sale. However, for Home Depot, it is still susceptible to consumers who might choose to defer Spring repairs till later part of the year. In the latest earnings report, HD reported first quarter earnings per share of US$2.06, up 23 per cent on revenue of US$25.234 million, up 6 per cent according to Zacks Investment Research. Its same store sales are expected to rise to 5.6 per cent. HD is also expecting full-year sales to be up 6.7 per cent and comparable same store sales (comps) 5 percent, including the adoption of a new accounting standard. Full-year earnings per share (EPS) is expected to rise 28 per cent to US$9.31 and the consensus is US$9.44. The middle-to-higher income households have not stopped spending en masse on discretionary spending, thus aiding one of the luxury department store barometer which has seen several many as important for trend tracking purposes. For example, lifestyle department store operator, Macy’s reported top line of US$5.5 billion versus US$5.4 billion, while earnings per share rose to 48 US cents, as compared to 37 US cents expected. The company said that the earnings results benefited from international tourism. However, it also added that it would be ending its joint venture (JV) with Fung Retailing Limited in China. Instead, Macy’s will remain on Alibaba TMall platform, and focus its efforts there. 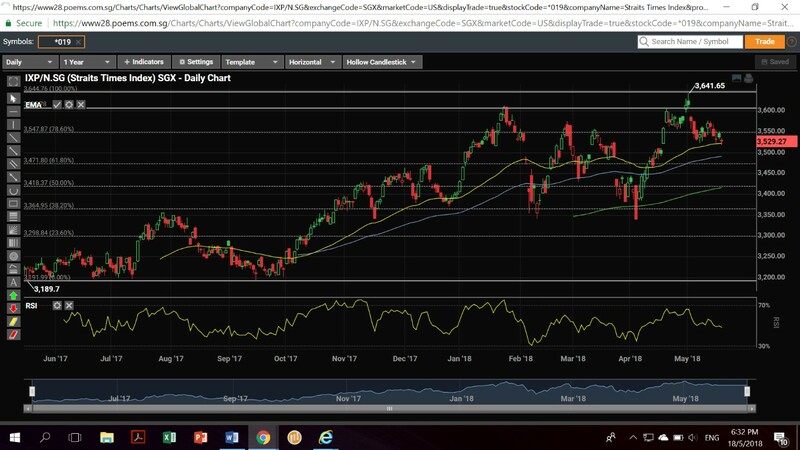 The stock of Macy’s kept rising and hit a new high of US$33.96 with the 14-day RSI in the ‘Overbought’ region. 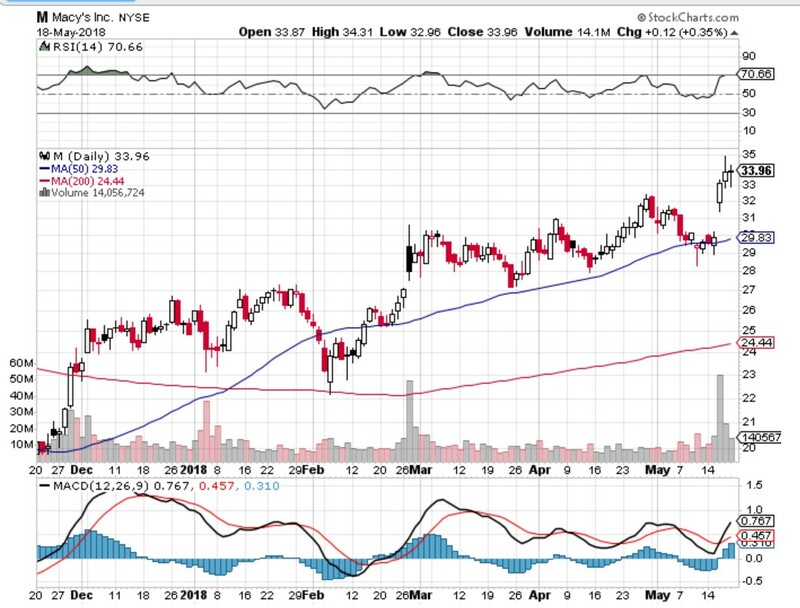 The stock is gaining a huge traction from the latest earnings results, and it will be interesting to monitor how the stock will perform going forward. Note: Model equity portfolio performance as of May 19, 2018. For illustration purposes only, and information is not verified by third party. Past performance is not necessarily indicative of future performance. Please seek the advice of your qualified licensed financial adviser before any investments are undertaken. Since the inception of the model equity portfolio at the end of November 2016, the latest portfolio returns this week have shown a major outperformance of 85.42 per cent, inclusive of capital returns, dividends earned, and realised returns earned during the last rebalancing round on December 31, 2017. This compares to the total return of 21.48 per cent for the Straits Times Index (STI) during the same time period. The top three holdings in total return terms (dividends plus capital gains) include Nordic (up 40.8 per cent since end June 2017); followed by Ascendas Reit (up 12.8 per cent since November 2016), and SATS Ltd (up 13.1 per cent since December 2016). The model equity portfolio did experience a shortfall coming from Singtel (down 9.8 per cent since December 2016); followed by Straits Trading (down 11.0 per cent since end June 2017). For now, we are not planning to make any changes or do any rebalancing for the portfolio. We shall actively monitor the model portfolio till end of June 2018. 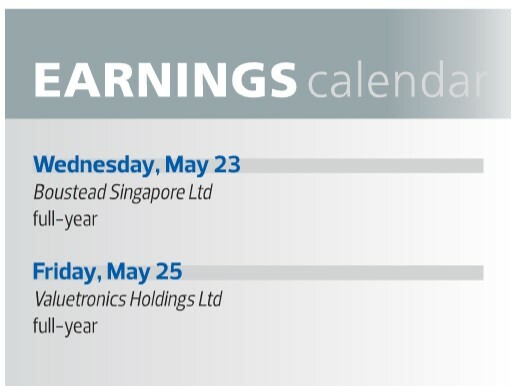 With the earnings season drawing to a close, two listed companies, Boustead Singapore and Valuetronics Holdings are scheduled to report next week. The two major economic barometers of prices and growth measures for Singapore’s economy is expected to be released next week. With the oil prices soaring close to US$80 per barrel, it would be interesting to watch on it will impact Singapore’s economy. Two pieces of key important data to be released include new home sales for April, and the latest Federal Open Market Committee Minutes. The latter will provide clearer picture of the US Federal Reserve’s possible interest rate actions in the crucial meeting in June where it is widely expected that the committee will raise interest rates for the second time this year. Note: You would like Tay Hock Meng to contact you for such marketing, advertising and promotional purposes via the voice call, SMS, and Fax, overriding any DNC registration. You understand that you are entitled to withdraw your consent for the collection, use and disclosure of your personal data at any point in time by notifying us at 62644711 or email us at tayhm@phillip.com.sg. The information contained in the sharesinvestcoach.com website under ‘Peak Hour’ is provided to you for general information/circulation only and is not intended to nor will it create/induce the creation of any binding legal relations. The information or opinions provided do not constitute investment advice, a recommendation, an offer or solicitation to subscribe for, purchase or sell the investment product(s) mentioned herein. 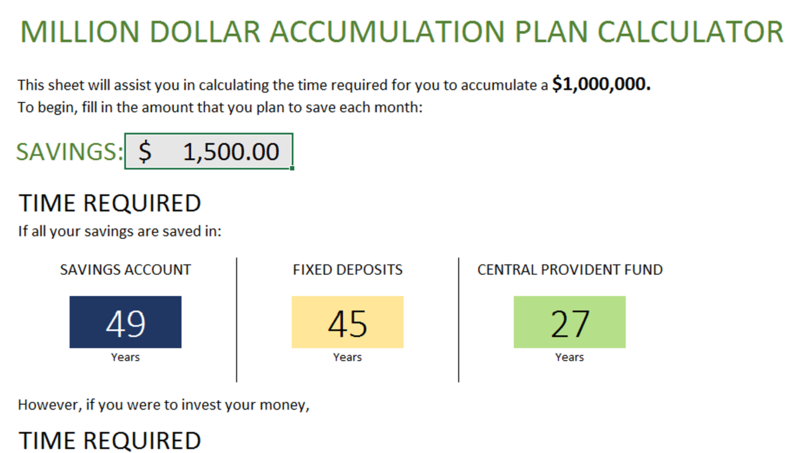 It does not have any regard to your specific investment objectives, financial situation and any of your particular needs. Accordingly, no warranty whatsoever is given and no liability whatsoever is accepted for any loss arising whether directly or indirectly as a result of any person or group of persons acting on this information. Investments are subject to investment risks including possible loss of the principal amount invested. The value of the product and the income from them may fall as well as rise. Subscribe to our mailing list to get monthly market updates and stocks to watch by Peak Hour!